Highlight: Easy, less destructive install, very modular and durable. 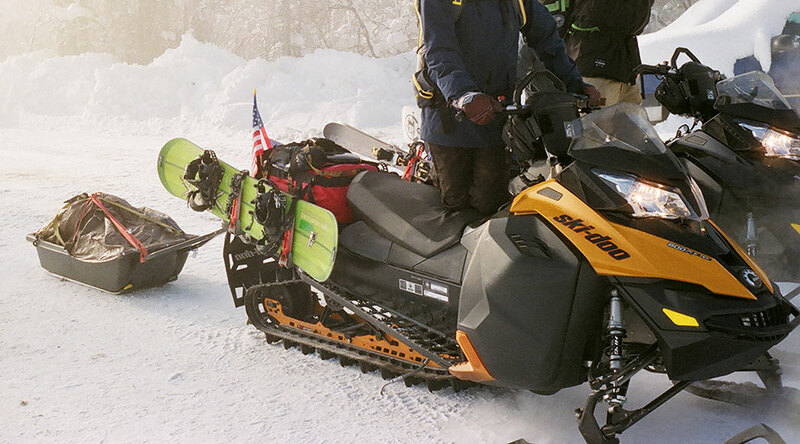 Rider Profile: Male, backcountry snowmobiler of many, many years. I love how modular these racks are. You can easily remove them from the sled or replace small parts instead of the full assembly. It also felt really nice to not have to drill as many holes in my new sled tunnel for install. The racks have proven to be durable and can hold a board through the roughest of trail conditions with no complaints. These racks excel at quick tie down and release of boards. Number one issue, they don’t fit wide snowboards! Number two, the cost and extra parts required. No one tells you that an aftermarket utility bummer is needed for proper install, adding more costs to an already expensive rack. I bought these racks when I bought a (leftover) new Ski-Doo Summit 800. The shop gave me a 25% discount on parts with the sled purchase, which is why I considered these racks. In the past I’ve built my own racks using bulk plastics. Going fancy with the new machine, I bought two sets of these racks and learned quite a few lessons along the way. 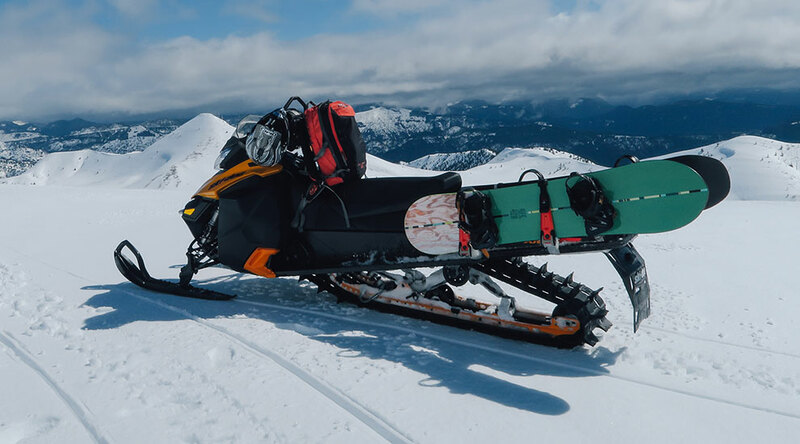 Read below to find out the good, the bad and the ugly about Ski-Doo board racks. These racks only carry skis or snowboards, not both. I bought the Ski-Doo snowboard racks thinking they would hold skis too, so I could double up skier friends to the top of a line. The rack plastic needs to be cut down (to an indicated level) in order to be used for holding skis securely. And then the strap hardware needs to be reset. After this adjustment, the racks will no-longer carry a snowboard, unless maybe you use the Voile strap technique mentioned below. They will hold skis in board mode but not securely or for long distances. Short straps make wide snowboards hard to carry. The straps only come in one size and only have so much flex to them. That means wide boards (over 26mm waist width) don’t fit unless you skip the rubber protector or use my patented Voile strap technique seen below. If you skip the rubber protector, you will chew through straps. I’m on my third strap in two seasons, which is almost worth the $20 per strap cost for quick tie-down of my wide powder board in cold weather. The addition of Voile straps allows for any size board to fit, they just take longer to tie down. I hook the metal end of the Voile strap around the metal rack eyelet and then loop the Voile strap through the end of the factory rack strap. Then circle back down to the Voile strap eye for a secure lock that can handle a rough ride in. Heavy duty bumper required! And probably heavy duty rear springs too. I had the racks installed at the shop when they were building up my new sled. I was told I needed to buy the Ski-Doo Utility bumper for the racks to work, after the fact. That added $200 more to the project (after install) but did get me a good towing package for hauling utility sleds into the backcountry for cabin and yurt trips. In the end, I really enjoy that feature. After a few rides, I noticed the weight of two boards hanging off the back of the sled causing an issue with excessive tunnel sag, which can lead to cooling issues. And definitely makes doubling up climbs harder. I ended up having to install heavy duty rear springs as well. Once again, this ended up being a nice update and allows for way easier, more stable doubling climbs. Use the safety screws or loose your racks. 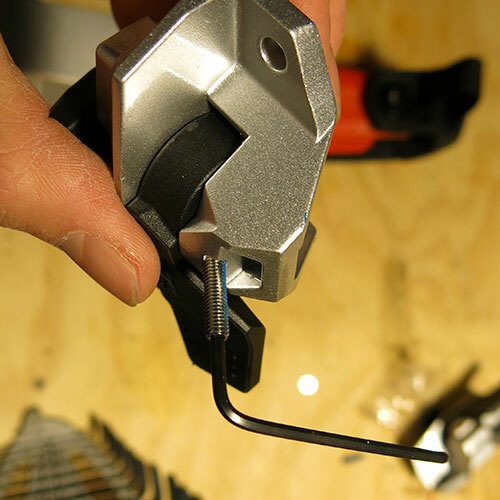 The LinQ system comes with little securing screws to lock down the black latch so it can’t be released or stolen until you unscrew the pin with a small allen wrench. I learned the hard way that these little screws are needed to avoid the board racks falling off the sled during really rough trail conditions. At least the LinQ latch parts are easy and cheap to replace if broken or lost. Yes, two seasons and 800 miles of board carrying later, the racks are holding up very well. What if the sled rolls, will they break? I’ll admit, I haven’t tested this much but they are pretty flexible, enough so that they can withstand the flex applied during rolls in powdery conditions. Comparing Ski-Doo board racks to Cheetah Factory Racing racks, which would you choose? Probably a Cheetah rack. The cost of the Ski-Doo rack alone is a real deterrent. Ski-Doo has a good idea but it needs some refinement, especially with their strap. 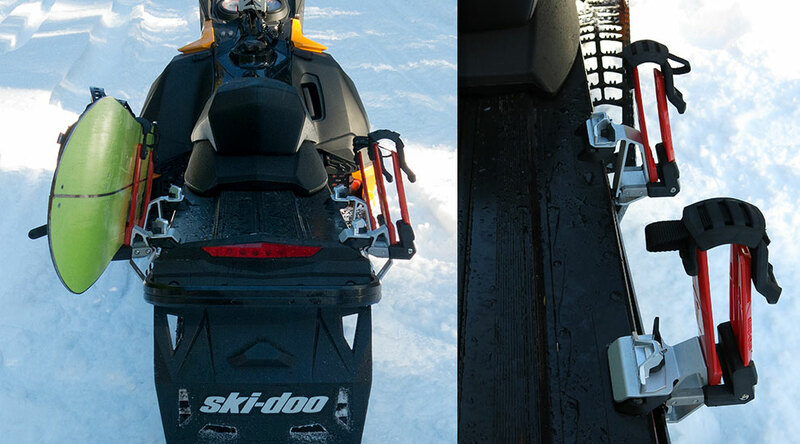 Where the Ski-Doo rack excels is with fast tie down and release of the board. It’s super easy to get a board on and off the sled if it’s not a wide board. What add-ons to do recommend? 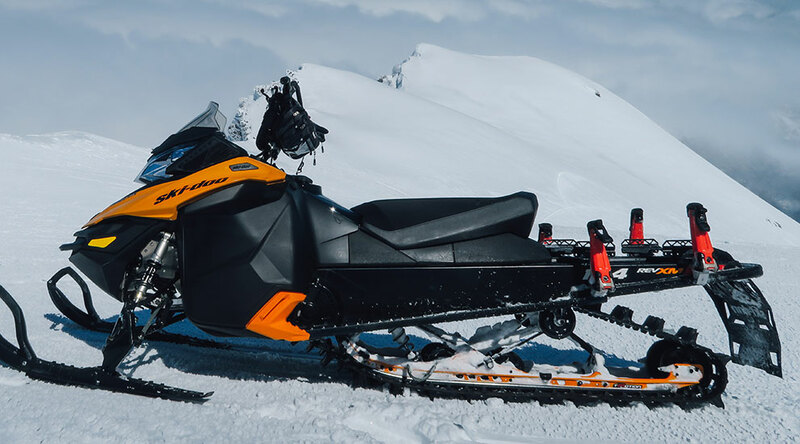 I added the Whiteout Technologies racks to my Ski-Doo LinQ system and yes they are compatible with the Ski-Doo board racks. This allows me to strap down extra gear more easily and not directly to the hot tunnel. It’s used often to strap my avalanche float pack down to, for long entry rides to the riding zone or when doubling other riders in on groomed trails. This technique saves the back added stress during a long whoopy trail ride to the alpine. If you’ve lost your manual or the shop trashed it after they installed the racks (my case), here’s one for you. These racks have enough adjustments, it can be helpful to review.